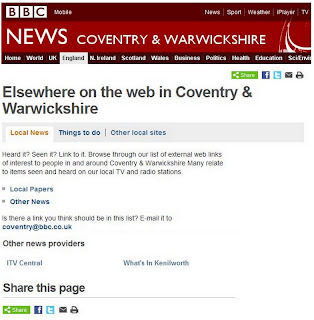 I am delighted to announce that whatsinKenilworth.com is now listed at BBC News Coventry and Warwickshire. 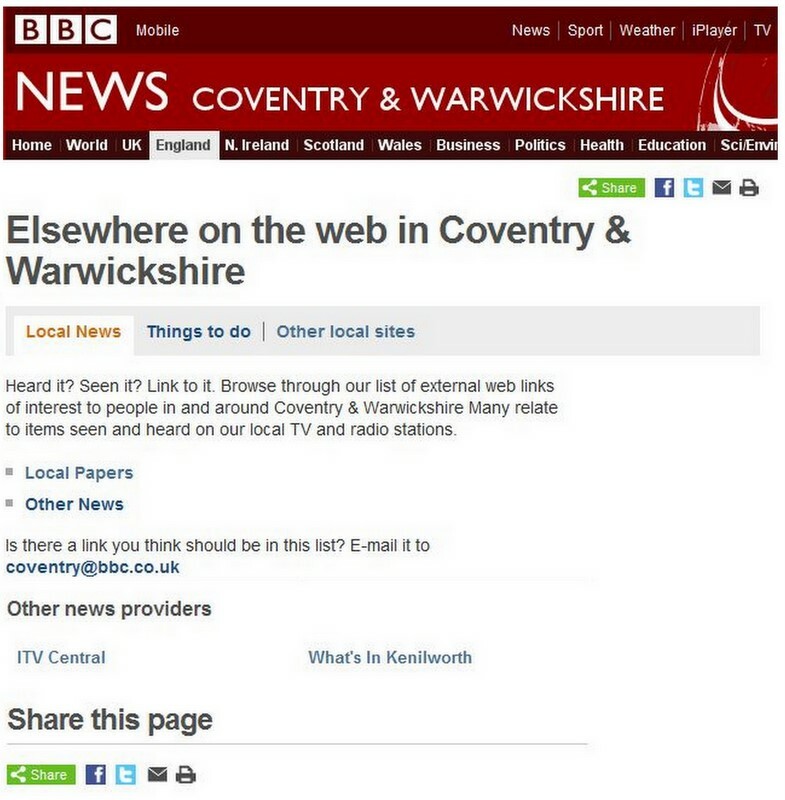 The screenshot shows how the BBC list Other news providers as ITV Central and What's In Kenilworth. This shows the BBC are committed to include external links to Local Papers, Other Radio stations and Hyperlocals. I believe this is the first time a hyperlocal citizen journalist has been included on these pages at BBC News Coventry and Warwickshire. Please do not let wiK be the only one. Come on bloggers in Coventry and Warwickshire.